Whether in the commercial or aerospace and defense field, customers require excellent signal quality, speed and high flexibility when selecting a signal source. Besides, there is a growing need for development and testing in the digital baseband domain. R&S®WinIQSIM2™ options for communications standards such as LTE, WCDMA, HSPA, HSPA+, GSM/EDGE, EDGE Evolution, VAMOS, CDMA2000®, 1xEV-DO, WLAN, WiMAX™, Bluetooth®, etc. Whether in the commercial or aerospace and defense field, customers require excellent signal quality, speed and high flexibility when selecting a signal source. Besides, there is a growing need for development and testing in the digital baseband domain. The signals to be created are increasingly complex and dynamic. They use complex modulation schemes and demand more and more bandwidth. The R&S®AFQ100A is a state-of-the-art, self-contained and flexible baseband source that perfectly meets those requirements. 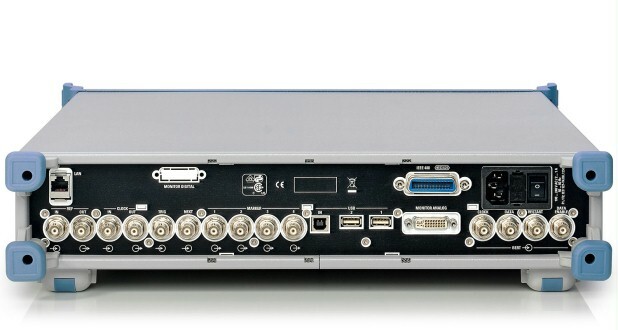 An important component of such test equipment is a flexible baseband source that allows development and production tests to be performed on state-of-the-art receivers for a variety of standards. A self-contained baseband source must fulfill a wide range of signal requirements. Plus, it needs variable digital and analog outputs in order to directly operate the DUT. Used as a modulation source for vector signal generators, the R&S®AFQ100A provides I/Q signals that offer all the sophistication of modern communications standards for generating the required RF signal. 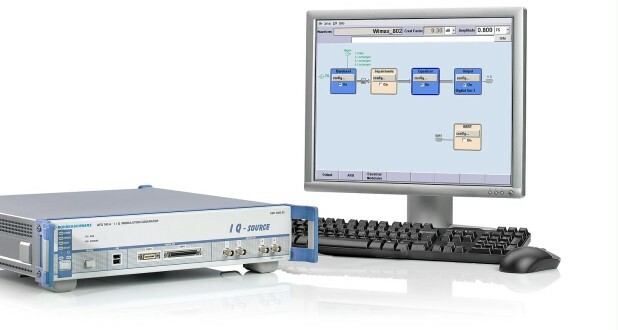 Featuring a maximum clock rate of 300 MHz and a waveform memory of up to 1 Gsample, the R&S®AFQ100A generator provides unprecedented functionality and offers precisely the flexibility that is required. It allows long sequences to be generated for bit error ratio measurements; moreover, its high clock rate provides the necessary bandwidth for supporting future broadband communications systems. Especially in the case of very broadband applications, modules such as I/Q modulators produce a nonlinear frequency response. To compensate for this effect, the R&S®AFQ100A is equipped with an equalizer that linearizes the entire frequency response in realtime. The R&S®AFQ100A combines flexibility with outstanding signal quality. Its spurious suppression, for example, is first-rate, and its frequency response extremely linear. All these basic features combined with a host of other functions make the R&S®AFQ100A a versatile baseband generator that can easily be adapted to changes. Digital communications systems are rapidly evolving today, calling for test equipment that can meet the new challenges they present. An important component of such test equipment is a flexible baseband source that allows development and production tests to be performed on state-of-theart receivers for a variety of standards. A self-contained baseband source must fulfill a wide range of signal requirements. Plus, it needs variable digital and analog outputs in order to directly operate the DUT. Used as a modulation source for vector signal generators, the R&S® AFQ100A provides I/Q signals that offer all the sophistication of modern communications standards for generating the required RF signal. 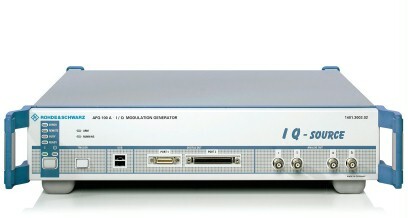 Featuring a maximum clock rate of 300 MHz and a waveform memory of up to 1 Gsample, the new R&S® AFQ100A generator provides unprecedented functionality and offers precisely the flexibility that is required. It allows long sequences to be generated for bit error ratio measurements; moreover, its high clock rate provides the necessary bandwidth for supporting future broadband communications systems. Especially in the case of very broadband applications, modules such as I/Q modulators produce a nonlinear frequency response. To compensate for this effect, the R&S® AFQ100A is equipped with an equalizer that linearizes the entire frequency response in realtime. The R&S® AFQ100A combines flexibility with outstanding signal quality. Its spurious suppression, for example, is first-rate, and its frequency response extremely linear. All these basic features combined with a host of other functions make the R&S® AFQ100A a versatile baseband generator that can easily be adapted to changes.